Cook County Board Commissioner Richard Boykin’s second annual Youth Career Expo saw a large turn-out Saturday as over 300 teens arrived throughout the morning to apply for jobs and internships. Over 30 vendors participated in the event, but one table in particular stood from the rest, because the young woman in charge was a teen herself. 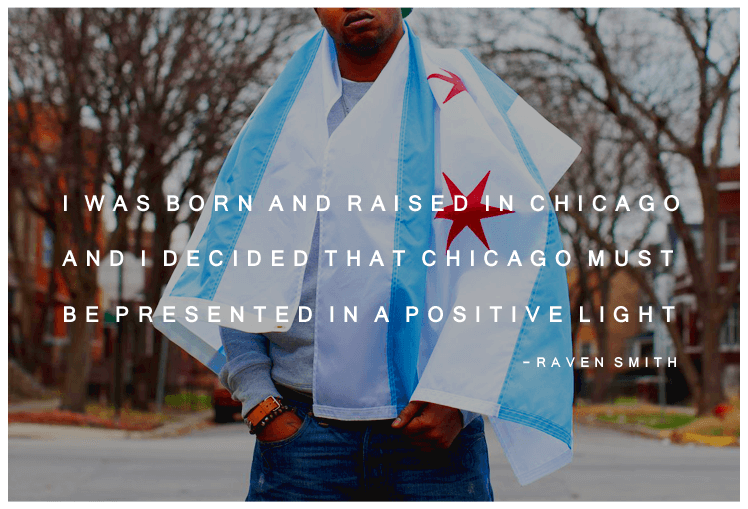 Raven Smith, a senior from Morgan Park High School, started the Straight From the Go campaign to promote the positive aspects of Chicago. She wants to spread a positive message and get people her age involved. So she made a T-shirt with the Straight from the Go logo. It challenges the Chiraq image sparked by Spike Lee’s film of the same name and encourages people to see Chicago in a better light. Smith set out to find an easy way to spread her message and discovered that she could use a common article of clothing to launch her vision. Proceeds from T-shirt sales go to the victims of gun violence and other causes, Smith said. She’s made a donation to her alma mater, Poe Classical, to save classes and teachers from being lost due to low funding. When she first started, Smith sold them out of her backpack at school. Now, Smith’s T-shirts can be found at Belle Up on Michigan Avenue and The Shop 147 on 72nd and Stony Island. She also sells them at special events like the Black Women Expo. Smith didn’t need to do much marketing on her own, said her mother Eraina Smith. Her daughter has been a guest on Windy City Live, CBS and is scheduled to appear on WGN. She has also been featured in The Beverly Review and DNAinfo. Schools are ordering the shirts in their colors, and even a Chicago ABA team have worn her shirts. The city of Chicago wants change, Eraina Smith said, and the support that she and her daughter have received shows they’re on the right path, she said. Commissioner Boykin, who met the teen at the Youth Career Expo, praised her hard work. Boykin hopes his recently proposed Community Stabilization and Anti-Violence Act of Cook County will help do just that. The bill would provide an estimated $50 million in jobs for young people in Chicago. The more teenagers that are off the streets and have jobs, provides hope and the opportunity for them not to become a victim of violence, he said. “Nothing stops a bullet like a job,” Boykin said. And they want to hear her message. Smith has been chosen to participate in WE DayApril 28th at the Allstate Arena, where they will share their message with about 15,000 people. Smith said it’s been heartwarming that so many people have accepted and understood what they’re trying to do. “God gave Raven a message, and then he gave her an avenue,” Eraine Smith said.